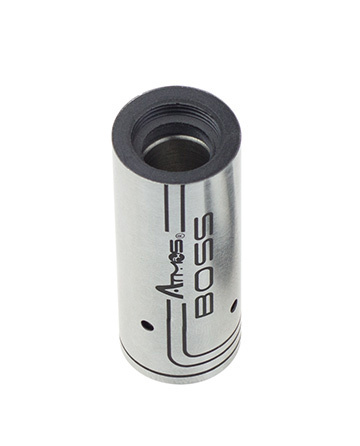 Designed by Atmos, the Boss has long been one of the best selling vaporizers on the market. This is because of it's durable, highly portable design, and powerful performance as a dry herb vaporizer. The Boss Dry Herb vape pen uses a high grade stainless steel cooking chamber that heats up quickly and evenly. The Boss’ quick heat up time and LED light indicators make it simple enough for new users to operate, while its powerful lithium-ion battery and smooth airflow system provide a level of performance that satisfy even the most experienced user. The Boss’ etched design is one of the most elegant and durable housings we have to offer, being able to handle the wear and tear of everyday use with ease. Take advantage of this limited time offer, and save big on the Boss.